Juliette is still haunted by her deadly touch. But now that she has teamed up with other rebels with powers of their own, she'll be able to fight back against The Reestablishment to save her broken world. With the help of these new allies, she'll also finally learn the secret behind Adam's--and Warner's--immunity to her killer skin. 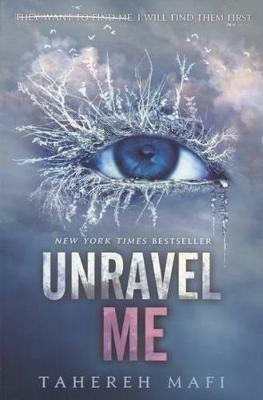 Unravel Me is perfect for fans who crave action-packed young adult novels with tantalizing romance like Divergent by Veronica Roth, The Hunger Games by Suzanne Collins, and Legend by Marie Lu. Ransom Riggs, #1 New York Times bestselling author of Miss Peregrine's Home for Peculiar Children, raves: "A thrilling, high-stakes saga of self-discovery and forbidden love, the Shatter Me series is a must-read for fans of dystopian young-adult literature--or any literature!"